The grand colonial style entrance opens onto a grand lobby area which includes a powder room/ bathroom and an office that can be converted to a bedroom. A stair case leads up to bedrooms 1 and 2 on the first floor. 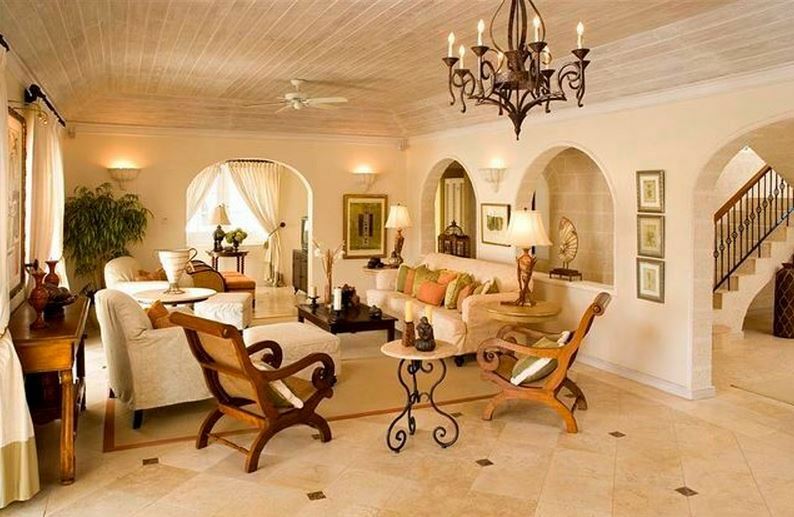 There is a large open plan living and dining area, featuring high ceilings and ceiling fans. The room continues outside to a covered terrace and open air terrace. To the left of the terrace is a covered outdoor dining area, seating 12. 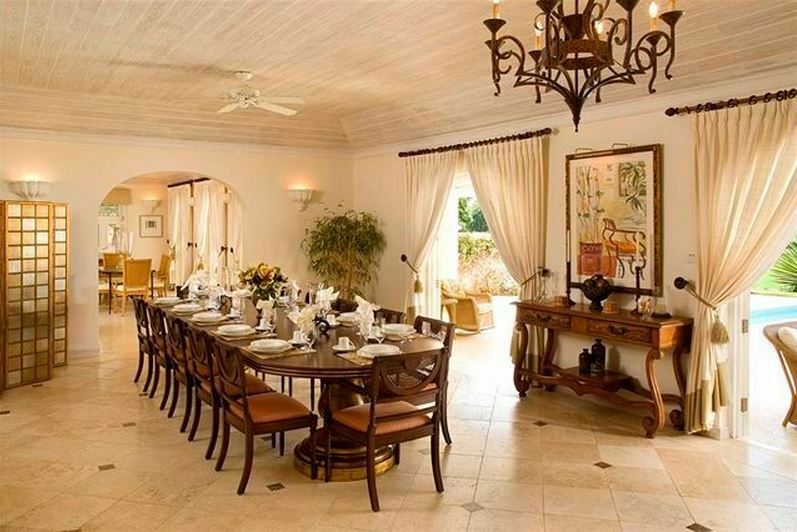 This is a perfect area for dinner parties and entertaining in the warm evening Caribbean breeze. 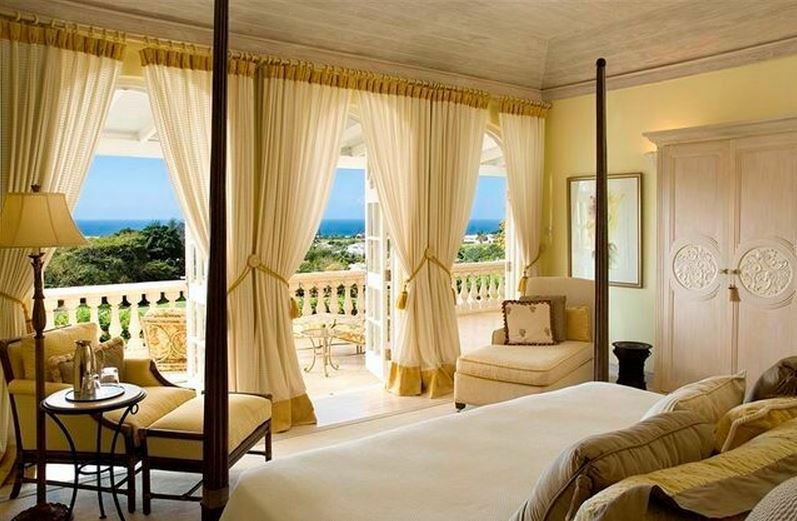 Ahead there is a large pool with a spacious deck area surrounded by a mature garden, overlooking the fairway and a wonderful view of the Caribbean Sea. 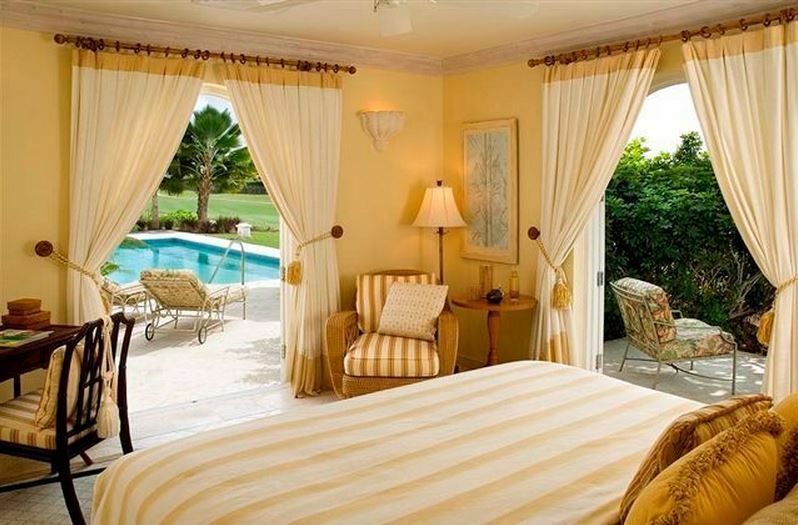 A short hallway leading from the lobby area opens onto the guest bedroom2, which is a twin-bedded room with en suite bathrooms and doors opening onto the pool deck. 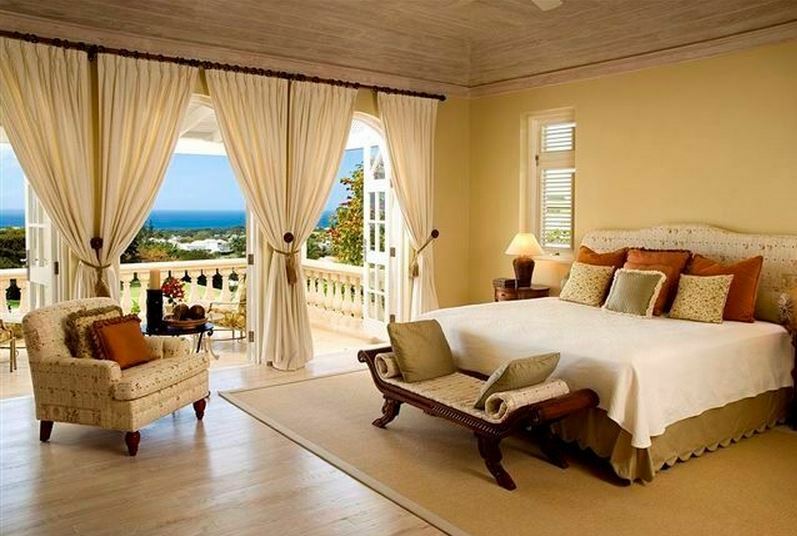 The master suite and first guest bedroom, located upstairs both offer King beds and open onto a large private balcony. Both bedrooms offer en suite bathrooms. 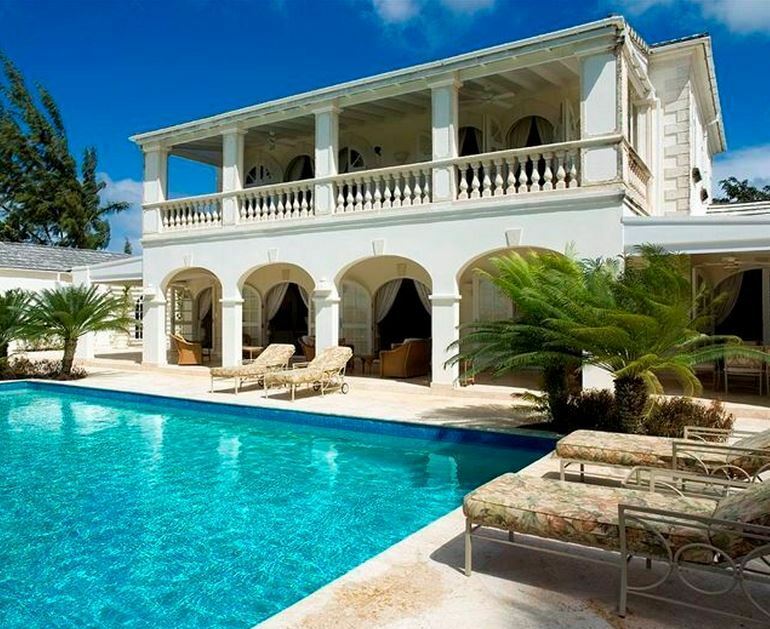 The property also includes two interconnected cottages accessed from the pool deck. One cottage has a King bed, the other has two twin beds, both with en suite bathrooms. The cottages each have their own private patio area. Cottage 1 also has views over the fairway to the sea.